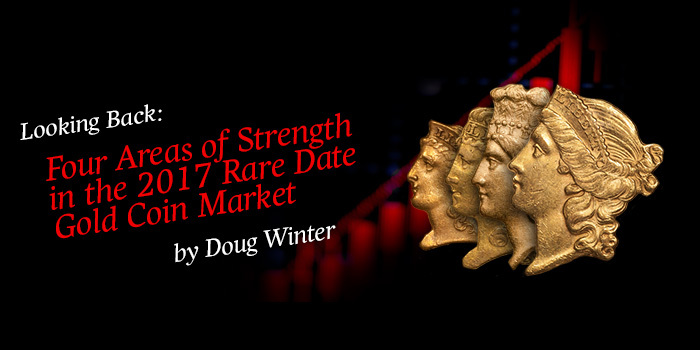 On a 1-10 scale in the rare date gold market, I would rate 2017 as a 5. This may not sound like anything special but it was better than most other segments. For dated gold coins, 2017 saw some surprises and some more-of-the-same. Let’s look at four areas which showed strength. I handled some really great quarter eagles in 2017 and I noticed a trend which began around 2015: a number of new collectors were seriously working on sets. These sets ranged from casual to obsessive and encompassed all of the mints which made this denomination. A few years ago, it was really only the Civil War issues and the Dahlonega issues which were strong. Today, it is virtually all pre-1890 dates as long as the coin in question is cosmetically appealing and priced properly. I see no reason why this series will not continue to be strong in 2018. 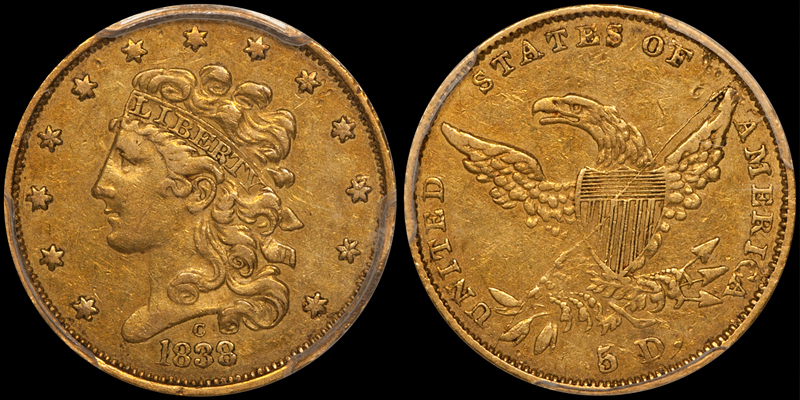 Many of the collectors I am working with have barely made a dent in their ultimate collecting goals, and I think the only thing which could hurt the momentum shown by quarter eagles is lack of available coins. If a coin had a good story, it was a good seller in 2017. What do I think qualifies as a “good story”? 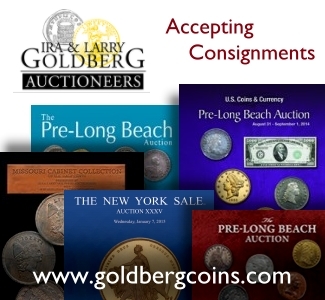 My criteria include (but is not limited to): first-year-of-issue, one-year type, very-low-mintage figure, a great pedigree, historic connotation(s), etc. 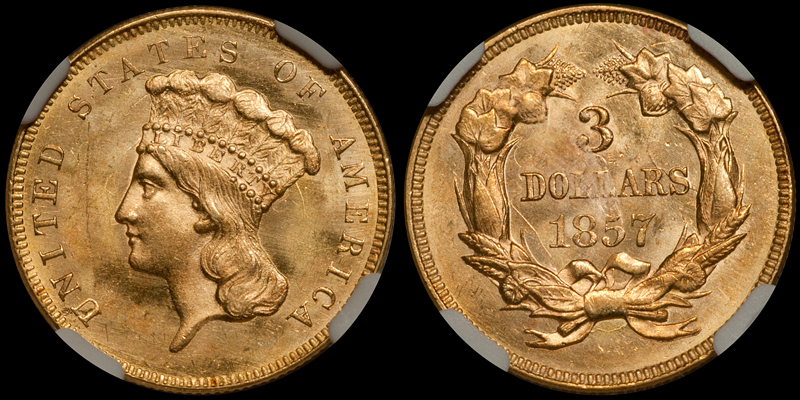 Let’s look at a specific coin-with-a-story: the 1838-C half eagle. 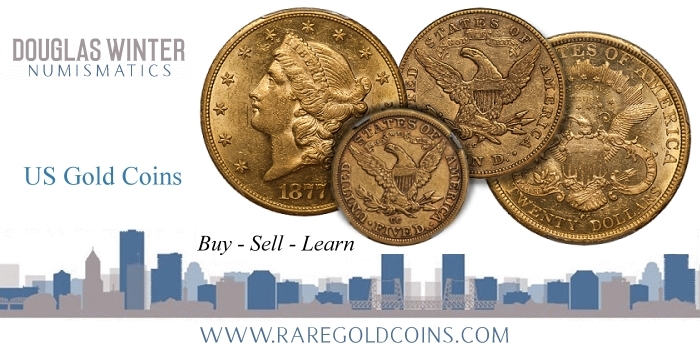 This is the only Charlotte half eagle with true multiple levels of demand as it is sought by Classic Head gold collectors and Charlotte gold specialists. It is, as well, a first-year type and a one-year type. Prices have risen considerably for this issue in VF and EF grades due to demand. But many collectors have been priced out. 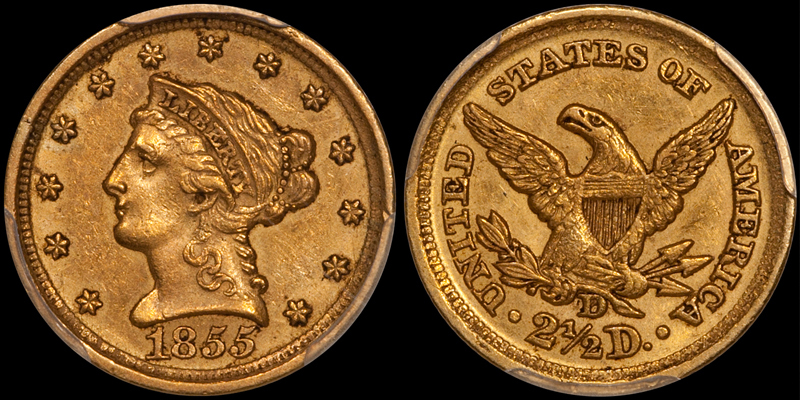 When a nice collector-quality 1838-C $5 was $4,000-5,000, most gold collectors could buy an example. Now, with the same coin priced at $8,000-9,000, many collectors can’t pay the tariff. Are further gains in price sustainable? I think so as long as the grading services hold the line on the coins they grade VF and EF for this issue. 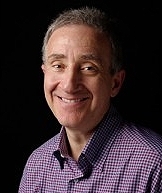 New collectors are shying away from specialization and tending more towards general collecting. This bodes well for coins that check a number of boxes. In a host of collectibles and fine arts categories, the really good stuff was in high demand in 2017. 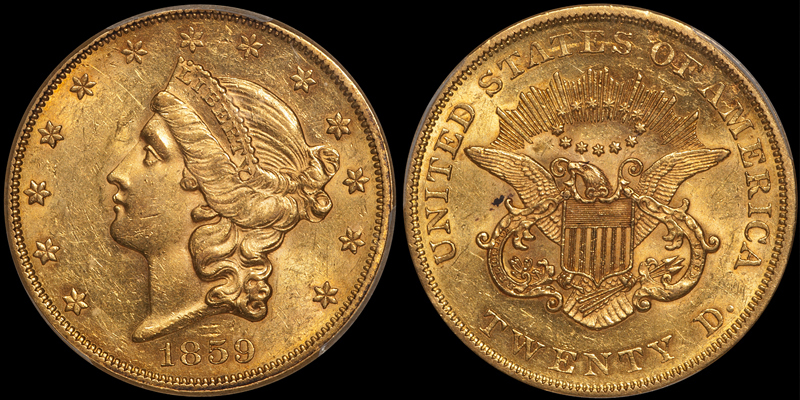 This was certainly the case in rare date gold, where I noticed a strong uptick for expensive coins (I’m defining “expensive” as $20,000 and up; your mileage may vary). 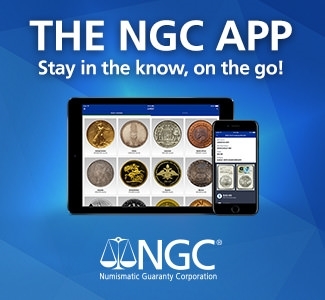 Coin collecting is increasingly becoming a rich man’s hobby, for better or worse, and I think we will continue to see increased demand for really cool, really expensive coins in 2018 and beyond. I expect you didn’t expect to see this category listed as #4 in the strong areas of the 2017 dated gold market. Threes have been in the dumps for a decade, but I saw evidence in 2017 that this long death spiral may finally have ended. There is a lot to like about this series. The design is elegant, the denomination is quirky, and, discounting the Proof-only issues and the uncollectable 1870-S, you can realistically complete this series in AU and BU grades. Now, not all Threes are showing signs of health. The common dates in Uncirculated just get cheaper and cheaper while overgraded, processed pieces are a hard sell, even if they are the “right” dates. My gut feeling is that we will see some new collectors in this series and that demand will quietly trend upwards. 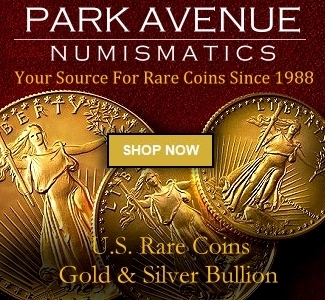 Would you like to begin collecting United States gold coins? Why not do it with a world-class dealer as your guide. Contact Doug Winter by phone at (214) 675-9897.